This article originally appeared on the blog Nir & Far. My taxi pulled up to the hotel. I got out my credit card and prepared to pay for the ride. The journey was pleasant enough but little did I know I was about to encounter a bit of psychological trickery designed to get me to pay more for the lift. Chances are you're paying more, too. Digital payment systems use subtle tactics to increase tips, and while it's certainly good for hard-working service workers, it may not be so good for your wallet. 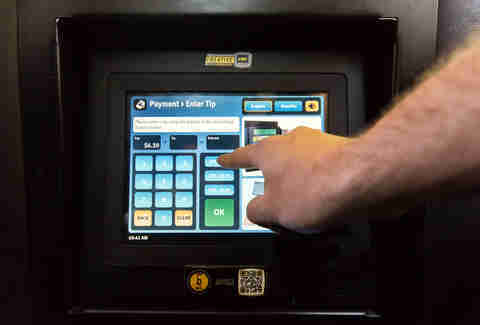 A new report by the tech research firm Software Advice discovered that digital point-of-sale terminals, like the one in my cab, increase the frequency and amount of tips left by customers. What's the secret behind how these manipulative machines get us to pony up? A recent Iowa State study cites a mobile payment company that effectively "nudges consumers" into tipping. Study author Kam Leung Yeung writes, "Upon swiping their credit or debit card, consumers then need to choose among... preloaded tip amounts (e.g. 15%, 20%, or 25%), or to enter their customized tip amount, or decide not to tip at all." This simple interface "increased the proportion of tipping by 38 percent." How did tipping increase so dramatically? Clearly the service wasn't 38% better. Patrons didn't suddenly become more generous. Rather, the higher tipping is a result of a few intriguing design decisions by the payment processor. For one, digital interfaces make it just as easy to tip as to not tip -- a marked change from the way we used to pay in the past. When cash was king, anyone not wanting to give a tip could easily leave the money and dash. "Whoops, my bad!" However, with a digital payment system the transaction isn't complete until the buyer makes an explicit tipping choice. Clicking on the "No Tip" button is suddenly its own decision. This additional step makes all the difference to those who may have previously avoided taking care of their server. Making sure customers don't forget to tip is certainly a good thing. But there is another subtle nudge that gets those who intend to tip to give even more than they otherwise would. Tipping conventions say the appropriate amount to tip a taxi driver is in the range of 10% to 18%. However, making the default choices 15%, 20%, or 25% bumps up the tip in two ways. First, users tend to take the easiest route; they do whatever requires the least amount of physical and cognitive effort. In this case, you're less likely to customize the tip because doing so necessitates more thinking and more clicking. Picking a preloaded amount is simply easier than changing the tip amount even if you know you're over-tipping. Second, offering three choices utilizes the anchoring effect to nudge people into picking the middle tip option. The vendor knows you likely won't pick the least expensive amount -- only cheapskates would do that. So even though 15% is squarely within the normal tipping range, by making it the first option, you're more likely to chose 20%. Picking the middle-of-the-road option is in line with your self-image of not being a tightwad. Therefore, you tip more, and you’re not alone. 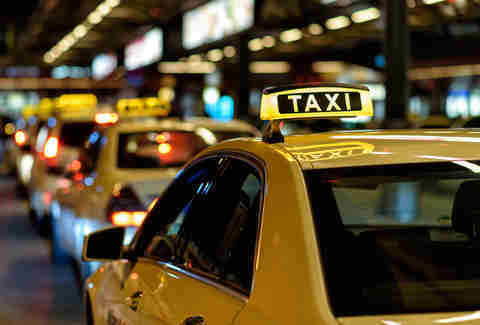 The New York City Taxi & Limousine Commission reported tips increased from 10% to 22% on average when the new payment screens were turned on. These systems also make it easier for customers to let go of their money. In another sense, they eliminate what Duke professor Dan Ariely calls the pain of paying. Ariely states, "The agony of parting with our money has to do with the saliency of [seeing] this money going away." In other words, the less real money feels, the less painful it is to spend and subsequently, we spend more of it. The payment processors have followed in the footsteps of another industry that has effectively reduced the pain of paying -- the gambling industry. Step into any casino on the Las Vegas Strip and you'll notice slot machines by and large no longer take cash. To take a spin on a gambling machine today, money must first be loaded onto a loyalty card. As soon as the card is dipped into the machine, it turns into points. Why did the casinos yank the cash out of their slot machines? Simple. They know gamblers will spend more when their money doesn't feel like money. Similarly, whereas handing over a tip with cash once meant physically feeling the money as it left your wallet, digital payment systems obfuscate the act of paying into something much less tangible. With digital payment systems, customers simply press a few buttons with their fingers and the funny money is gone -- just like in a casino. Yeung, the Iowa State study author, calls for government action to protect consumers from being taken advantage of by these systems. He states "policy makers should further explore alternative payment interfaces that can balance the convenience of paying and its corresponding spending-regulatory effect." The issue Yeung raises with these systems is that they make people pay more without realizing it. Certainly, digital payment systems aren't all bad. For one, they improve customers' experiences by making transactions easier and faster, eliminating the antiquated card-swiping and pen-signing systems still used by most retailers today. They also give bad tippers and non-tippers an extra nudge to tip properly. Clearly, service workers deserve to be tipped, and tipped well, for a job well done. However, for the average person just trying to do the right thing, these devices can mean hundreds, if not thousands of dollars spent unintentionally. 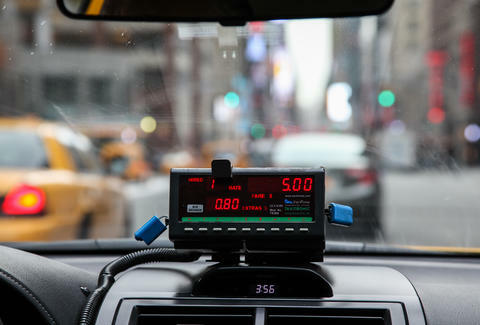 As we quickly pay while getting out of a cab, for example, most of us don't have the time or mental bandwidth to think about how the way we're paying affects how much we are paying.